San Francisco, CA, April 25, 2017	(Newswire.com) - Oktopost, the B2B social media management and employee advocacy platform, today announced it is partnering with leading Marketo Digital Service Partners – Hileman, Digital Pi, Kapturall, Position2 and Marvel Marketers – to enable additional services to Marketo customers. Based on the Oktopost-Marketo native integration, Marketo Digital Service Partners will be able to enhance the value of Marketo’s Engagement Platform by uncovering a whole new set of social activity data, for higher value and increased ROI. 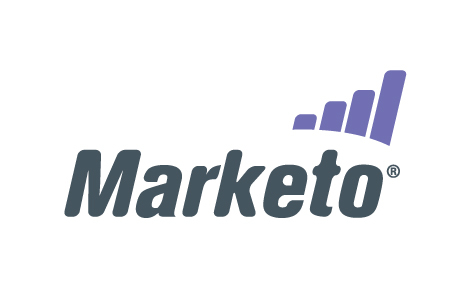 "We work closely with our LaunchPoint partners and Digital Service Partners to continuously create more value within the Marketo Engagement Platform," says Shai Alfandary, VP Business Development at Marketo. "The new partnerships between Oktopost and our leading Digital Service Partners enable our users to take Marketo to even greater heights. With the trove of social data Oktopost is able to provide, our customers can exponentially increase the value and ROI they are attaining from the Marketo Engagement Platform." "I speak for everyone here at Oktopost when I say that we are truly excited to start new relationships with key Marketo Digital Service Partners. The Oktopost Social Data will enable our 'Marketo Digital Service Partners' to improve lead data sets. For the first time, Marketo Digital Service Partners will be able to accurately attribute lead sources and enable businesses to personalize the content based on prospects psychographics from social media. I have full confidence that the Oktopost - Marketo Partners will greatly increase the value and ROI of Marketo's Engagement Platform." The Marketo and Oktopost platforms, known for their data-driven focus on marketing, work together to bring customers into the era of the Engagement Economy. With this new trove of social lead data, Marketo users will be able to exponentially increase the capabilities of their existing Marketo instance. “We are pleased to partner with Oktopost to help our customers take advantage of Oktopost’s Marketo integration to measure the ROI of their B2B social media investments,” said Tom Grubb, Chief Strategy Officer, Digital Pi. By teaming up with Oktopost, Marketo's Digital Service Partners can provide clients with a new set of services, to increase the value and ROI of their existing Marketo instances. Among the many new possibilities with the Oktopost-Marketo integration, MSP’s can help clients increase the value of existing lead nurturing, scoring and attribution programs, by adding social activity data to the Marketo Engagement Platform. “We are excited to partner with Oktopost to bring social media management to the forefront of our marketing automation and ROI metrics methodology. As we formally launch our social media strategy, it is critical we have the right tools in place to properly measure the ROI of our efforts through real business metrics. The ability to tie social ROI and lead data back to Marketo is going to be huge for us and our clients,” said Maneeza Aminy, CEO, Marvel Marketers. In addition, marketers can connect social media to company goals by bringing social analytics into Salesforce, for increased visibility and accessibility. By creating dashboards based on social activity, companies are able to show which channels are bringing in the highest value. To learn more about Oktopost’s Marketo Engagement Platform integration, and see how enterprises and B2B marketers can leverage the technology for a connected marketing cloud, we invite you to schedule a personal demonstration. Hileman Group is a group of smart, talented, passionate people who work at the intersection of Marketing, Creativity, and Technology. We are dedicated to always defining and executing the best-integrated solutions for all our clients' needs. Digital Pi is composed of marketing and technology experts focused on helping companies get rapid, meaningful value from marketing automation and related digital marketing technologies. Our clients include startups coming out of stealth mode to some of the largest global enterprises deploying marketing automation strategically, and everything in between. Marvel Marketers is a global strategy, marketing automation, and business intelligence consulting company serving both Enterprise and SMB customers. Founded by a former Senior Enterprise Marketing Automation Consultant in Marketo's Expert Services Team, our team of consultants has grown to include past Marketo clients, web designers, Salesforce.com experts and an epic team of Partners. Kapturall is a Digital Marketing Agency specialized in Marketing Automation. We help companies take advantage of technology to generate demand and increase sales. We are professionals in marketing: very focused in sales and business, with a strong inclination by the technology. Position2 accelerates demand through integrated Content Marketing, Paid Acquisition, and Marketing Technology solutions. Our solutions are mapped to buyer's journey across touch points such as search, social, mobile, media and email, and are powered by cutting-edge Content creation, web development, analytics, and marketing automation. A wide range of companies, from startups to Fortune 500s, covering numerous vertical markets, rely on our marketing gurus, engineers, data scientists, writers, and designers, to rapidly deploy and scale integrated marketing campaigns.